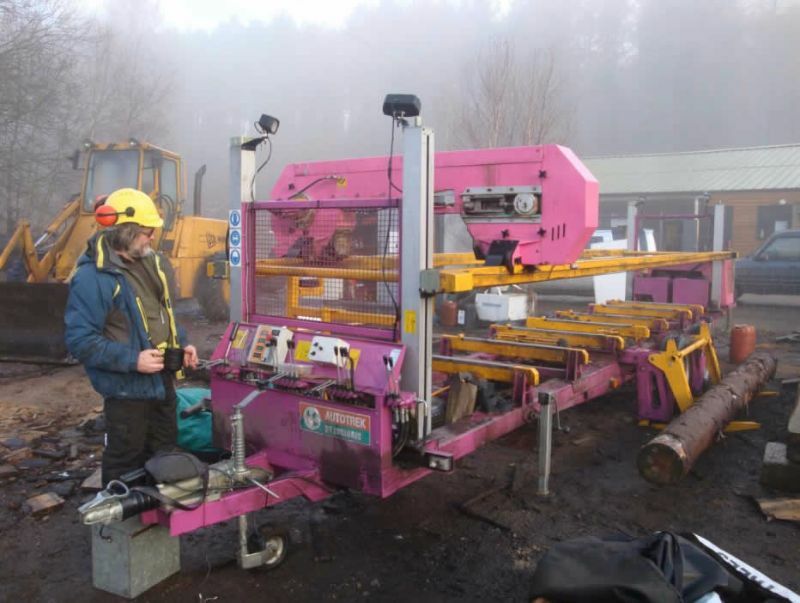 The UK manufacturer of this large travelling frame bandsaw for forestry use contacted CCQS after they had problems with the French Health and Safety enforcement agency. This is Machinery Directive Annex IV Equipment and it was found that the original EC Type Examination for old Machinery Directive 98/37/EC had not been updated to new Machinery Directive 2006/42/EC. Also the Technical File had been lost, so there was nothing to present to the French Authorities. CCQS checked the equipment for conformity with the new Directive and the C type harmonised standards for bandsaws EN 1807. Because this bandsaw is of an unusual design, it was not fully in conformity with the requirements of the standard, CCQS also produced a Technical File and EHSR checklist indicating how it was in fact safe. CCQS engineers pointed out some problems with the guarding and interlocking of the machine. Some omissions in the user manual were also pointed out. The client was able to provide better solutions to satisfy the French authorities and improve the safety of the machine. Once the modifications had been made, CCQS was able to issue a Notified Body EC Type examination certificate for the design.